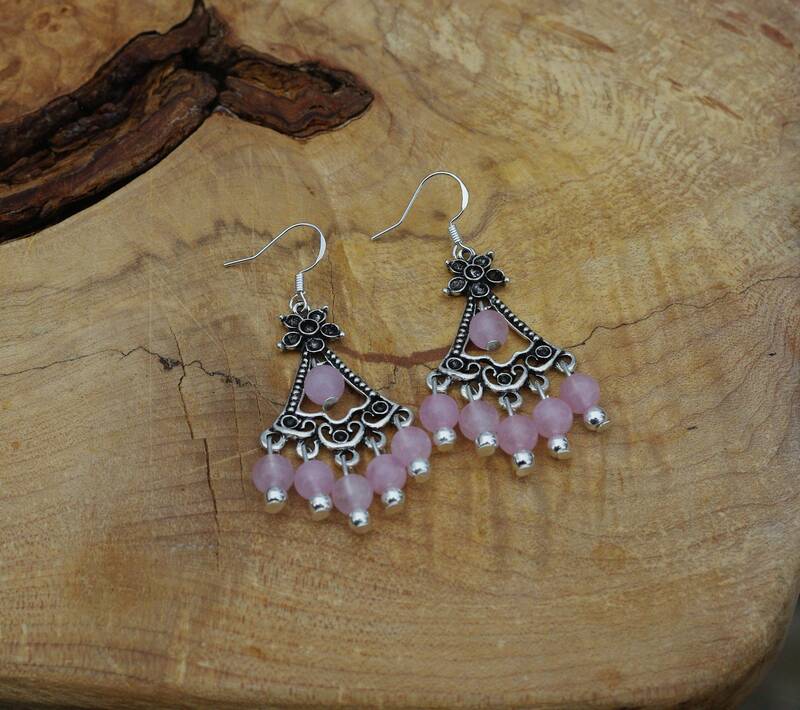 These gorgeous pale pink 6mm stone beads swing gently from the Tibetan silver frame. 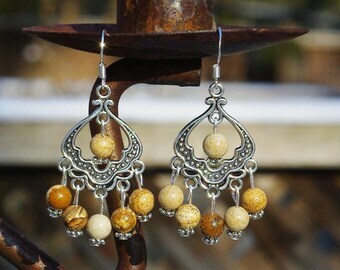 The stones are substantial and very feminine. 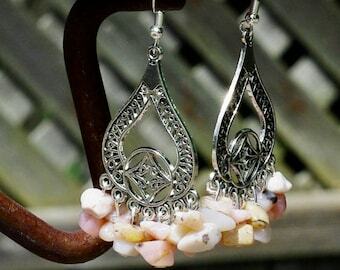 The earrings hang 1.5" (6 cm) from the ear. 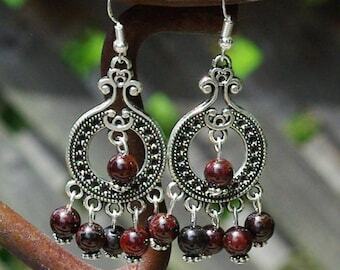 A lovely feminine addition to any outfit. 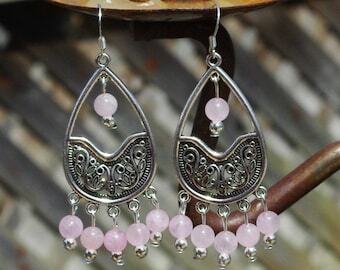 In folklore, Rose Quartz is the stone of unconditional love. 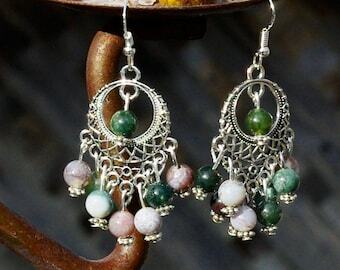 It is one of the most important stones for Heart Chakra work, as it opens that heart to all types of love—love of the self, love of family, love of friends and romantic love. 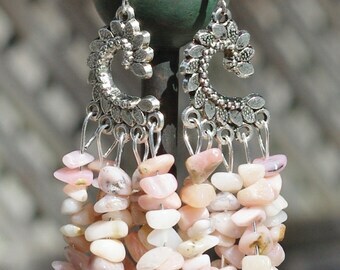 The soothing energy of Rose Quartz fosters empathy, reconciliation and forgiveness of others, lowering stress and tension of the heart. 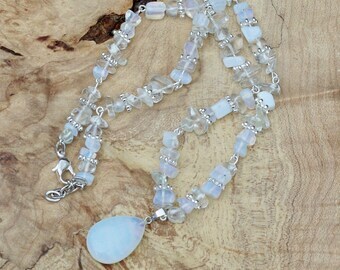 It can clear out anger, jealously and resentment towards others, allowing the healing of heart issues caused by holding onto these negative emotions. 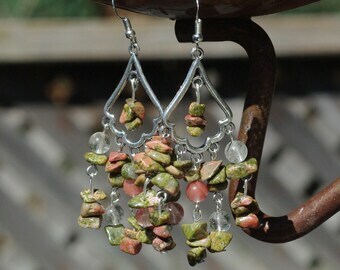 Titanium ear wires available upon request. 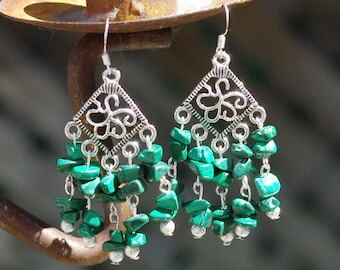 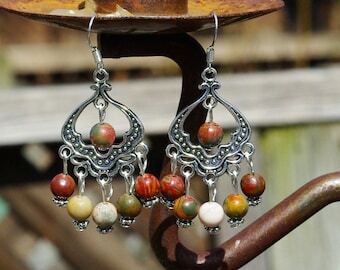 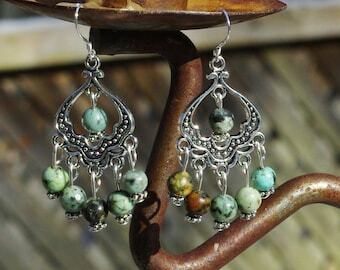 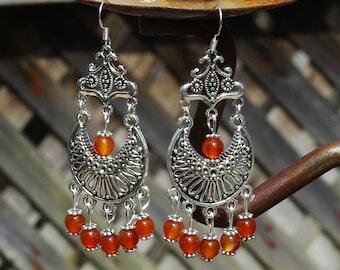 If you would like them instead of the sterling silver ear wires please indicate in the "note to seller" section.